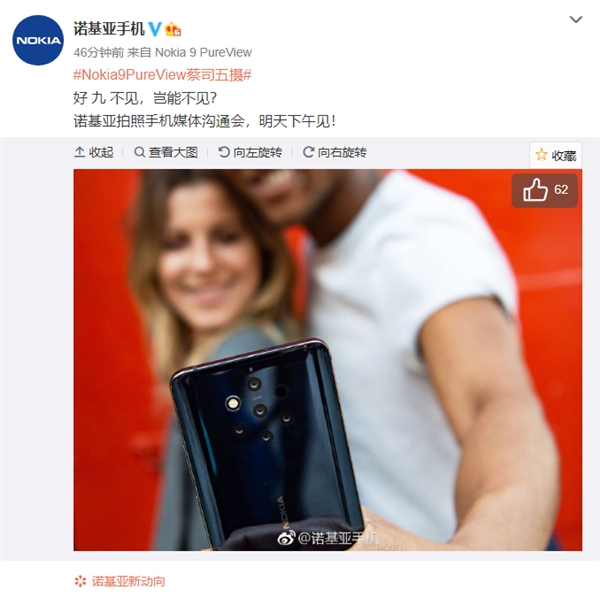 April 14 news, NokiaMobile phoneGuan Wei announced that Nokia's camera phone media communication will be held tomorrow afternoon (April 15), and the product that arrived at the communication meeting is Nokia9PureView. 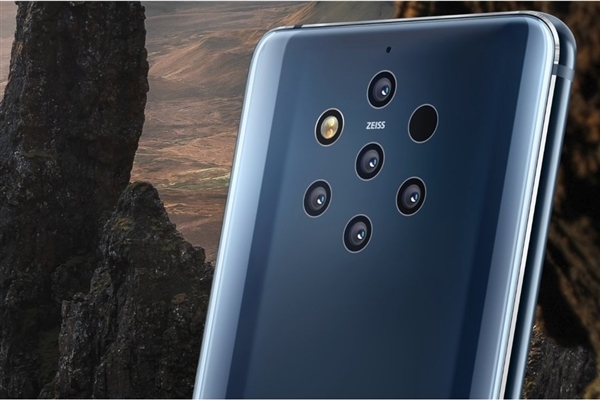 As its appearance,The biggest highlight of the aircraft is the rear ZEISS certified five lens, which is the world's first rear five-shot mobile phone.. It consists of two RGB lenses plus three monochrome lenses. The official introduction said that the five lenses capture 10 times the light of previous single-lens phones. At the same time, with the help of HDR operation, you can get a high image latitude photo with clearer and darker levels. For other configurations, the Nokia 9 PureView uses 5.99 inches 2KOLEDDisplay, equipped with Qualcomm Snapdragon 845 mobile platform, equipped with 6GB memory +128GB storage, battery capacity is 3320mAh, support wireless charging, IP67 dustproof and waterproof. Regarding the price, the price of Nokia 9 PureView in Hong Kong, China has been announced before. Its price is 4,988 Hong Kong dollars (about 4,300 yuan), from the perspective of the Hong Kong version of the price, does not rule out the possibility of the National Bank version of more than 4,000 yuan. Of course, there are also news that the price of its national bank is 3,599 yuan. If this is the case, then the aircraft will have a certain market. In the communication meeting tomorrow, the price and opening time of the Bank of China version are expected to be announced.We will continue to pay attention.